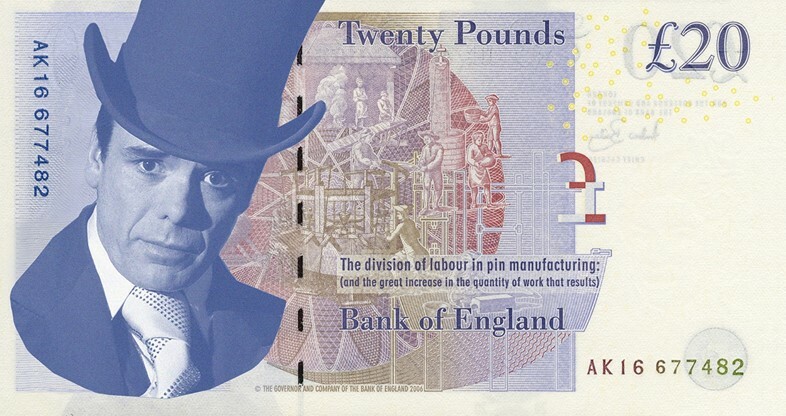 The Bank of England has announced that it is looking for a deceased British visual artist of "historical significance" to take place of pride on its new £20 note. Not only that, it wants your help. Which UK artists would you love to see come out of the cash machine? 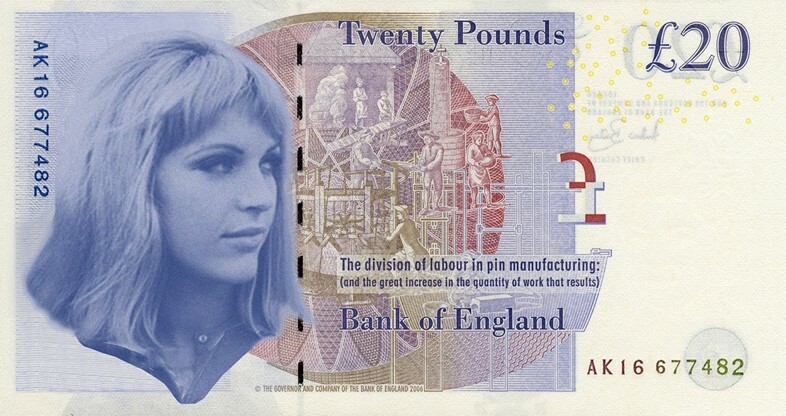 We've picked five radicals that changed Britain's artistic landscape forever and given you a rough preview of how their faces look on a crisp twenty. Day passed away in 2010, having established herself as one of the world's most revered fashion photographers. Throughout the 90s she pioneered a neo-realist style, photographing models like Kate Moss and Georgina Cooper, before moving into music and film, shooting Moby and Sienna Miller amongst others. Day's work possesses an undeniable humanity, warmth and humour, something us Brits (rightly or wrongly) like to pride ourselves on, thus making her a perfect candidate. 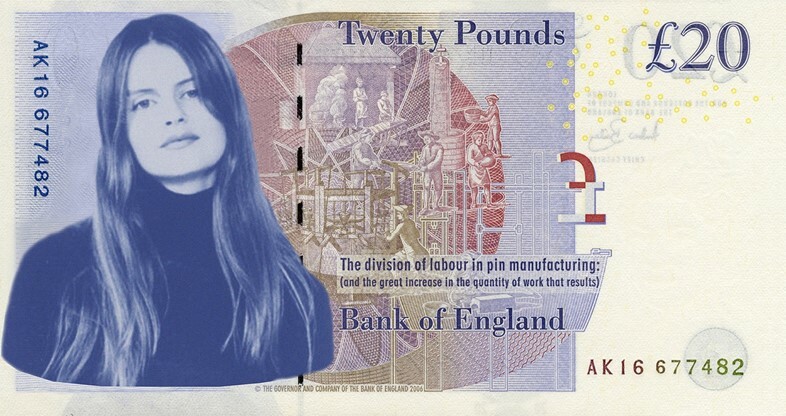 Her photography was also incredibly real and nothing's realer than needing a £20 note more than anything in the world. 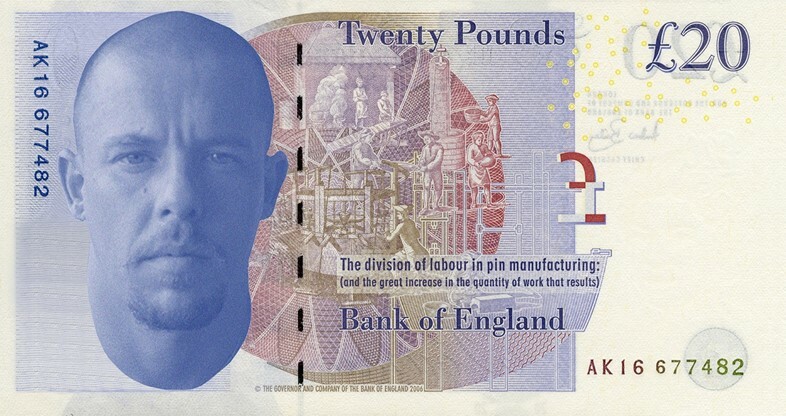 Surely McQueen is the leading contender to be on the new £20 note? Savage Beauty has been the British exhibition of 2015, cementing the fashion iconoclast's position one as of the most important and ambitious designers to ever grace this earth. He was a true visionary, somebody who left the world with a legacy that will inspire other creatives for years to come. A British artist who genuinely changed the world. Britain's only female pop artist, Boty died at the tragically early age of 28, having spent a short life as a collagist, painter and protester. 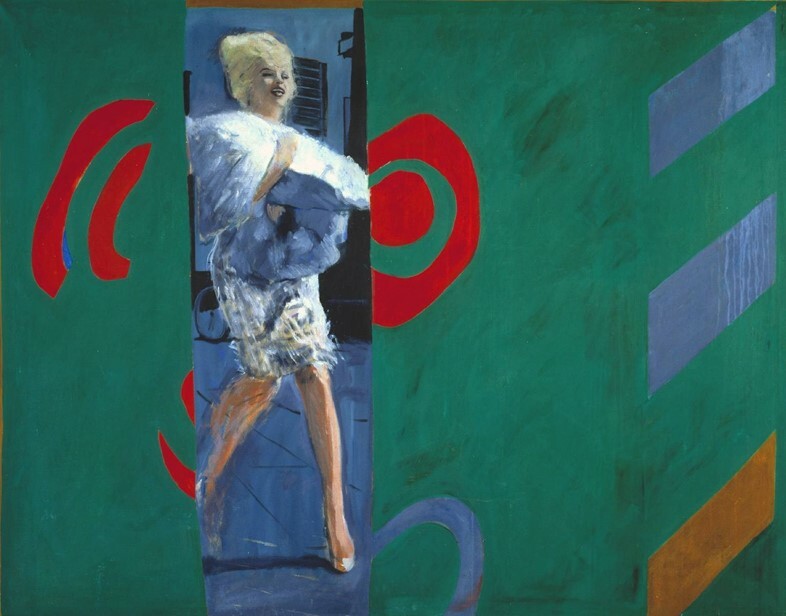 A woman who boldly took on sexuality and feminism in her work, Boty is remembered as an artist who founded pop art in the UK, at a time when being a female artist wasn't easy – see her channel those societal boundaries in her paintings It's A Man's World I and It's A Man's World II. She's an artist who fought for her place in a creative patriarchy and demonstrated a typically British "stiff upper lip" when she was diagnosed with cancer – Boty refused treatment that would harm her unborn daughter and smoked weed instead. On the money, if you ask me. Film director Derek Jarman is described by the BFI as a "queer pagan punk", an artist who documented Britain's underground, inspired by a life in and amongst the nation's subcultures. His 1978 film Jubilee carries a distinctly anti-royal message, making him an unlikely contender for a place on a twenty, over the other side from Her Royal Highness. That said, he was undoubtedly an invaluable commentator on British culture and a truly unique artist. In 1994, Jarman died due to complications from AIDS. Months before he did he released Blue, a film that features only a blue screen with Jarman talking over it about past lovers, how the virus is affecting him physically and his fears of death. A truly beautiful way to bow out. Horsley was a Yorkshire-born, London-based painter addicted to nearly everything – cocaine, heroin, prostitutes, you name it, he did it. Horsley dealt exclusively in extremes, even paying £2,000 to be crucified in the Philippines as a way of experiencing "extreme suffering" to benefit his work. He passed out during the experiment, only to be revived by YBA Sarah Lucas, who had travelled with him. 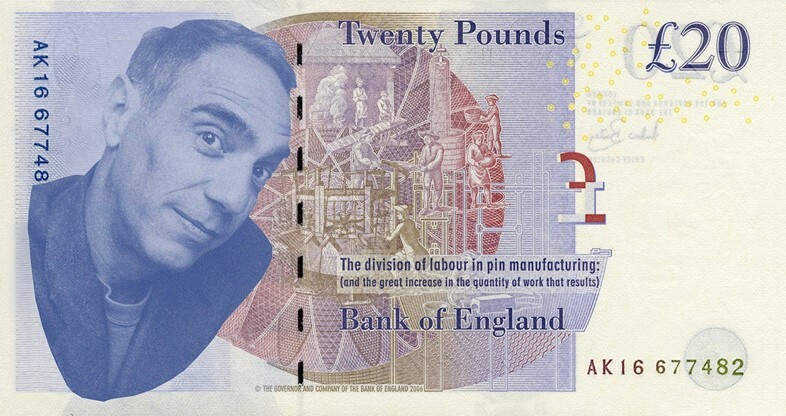 There's a caddishness about Horsley, a certain Byronic quality that means it'd be a right good laugh to stick him on the new £20, although we can't see the suits up at the bank agreeing – he was after all denied entry into America in 2008, due to "issues of moral turpitude". Horsley died in 2010, after a coroner recorded a verdict of "accidental drug overdose".